Pleiku does make up for its ultimately forgettable urban landscape with its cheap and tasty eats. The pho at bustling Pho Kho Gia Lai hits the spot, and the good news is they’re open for both breakfast and lunch. A bowl with meat is 35,000 dong, without is 15,000 dong. Find it at 22-24 Nguyen Van Troi Street, at the roundabout with Tran Phu and Tran Hung Dao. Com Ga Hai Nam is a little outside the centre but it’s absolutely worth it for a local version of Hainanese chicken rice. You get a scrumptious plate of rice cooked in broth, crispy fried chicken served with a bowl of chicken broth, pickled radish and a green salad topped with a few (gulp) chicken lungs and liver. A small plate only 30,000 dong, a hearty large 50,000 dong. Open breakfast, lunch and dinner. It’s a block from Duc Long Gia Lai 1 Hotel. Directly across the road in the evening are street eats including one surprise: a doner kebab cart. The owner saw it in Ho Chi Minh City and decided to buy his own cart. Succulent pork meat is sliced off the spit and stuffed into a flatbread -- not a pita, but close enough -- along with crunchy slaw, mayo and sweet chilli, all for only 10,000 dong. For something more traditional, there are also carts serving papaya salad, fruit shakes and che, dessert soups of sweet beans, jellies, fruit and milk. The night market has plenty of cheap and cheerful bites and a lovely, laidback atmosphere. 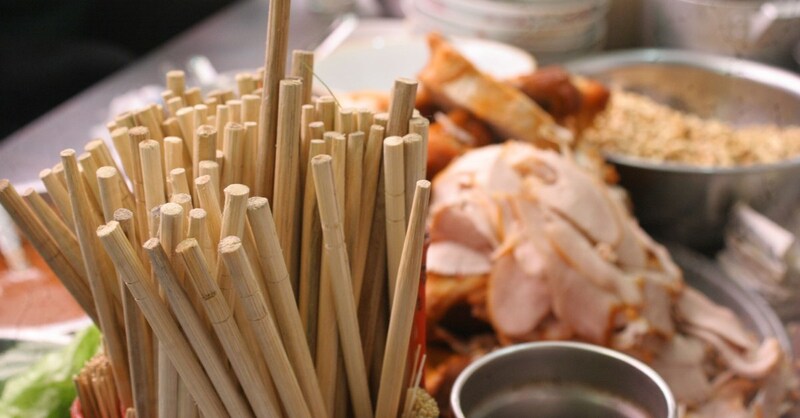 Look for the sizzling barbecues of pork skewers, a sure sign they serve bun thit nuong, cold rice vermicelli topped with grilled pork, fried spring rolls, herbs and a spicy sweet peanut sauce, 15,000 dong a bowl. We also spotted fresh spring rolls, deep-fried potato chips, zesty rice paper salad (ban trang trong), steamed buns, banh xeo pancakes and xoi, sticky rice with quail egg and chicken. Wash it down wth cold fresh soy milk (sua dau nanh) or cold sweet corn milk (sua bap tuoi), a bottle for 8,000 dong. Find the night market on Nguyen Thien Thuat and Hoang Van Thu Street, near the central market. Coffee is the Central Highlands’ main commodity and you can find a cup at every block in Pleiku. Many of the joints are a gathering place for men to socialise and smoke (women may feel out of place). Trung Nguyen Coffee is a chain owned by one of Vietnam’s largest coffee companies, and while we usually like promoting the local mum and dad shops, it is a comfortable spot for both men and women. It’s also the most Western-style cafe you’ll find. You can’t miss it at roundabout with Hung Vuong and Le Loi St, beside Hung Vuong Hotel. For something more local, you’ll be surprised to find family friendly Ty Ty cafe above a gardening and orchid (hoa lan) shop. At 89 Phan Dinh Phung Street, walk through the shop full of plant pots and head upstairs. It’s an unusual spot but it’s all about the thick, strong cup of Joe. Com Ga Hai Nam: 73 Hai Ba Trung; TL (059) 388 3128; open daily 09:00-21:00. Pho Kho Gia Lai: 22-24 Nguyen Van Troi St; open daily 06:00-14:00. Trung Nguyen Coffee Pleiku: 02 Le Loi St; TL (092) 352 6274; open daily 07:00-22:30. Ty Ty Cafe: 89 Phan Dinh Phung; open daily 06:00-17:00.